Yesterday (May 30), video surfaced of pop-punk veterans NOFX making some off-colour jokes about the Las Vegas massacre while performing in Las Vegas. As it turns out, audible groans weren't the only real-life consequences for the band's jokes — they've now lost their beer sponsorship. 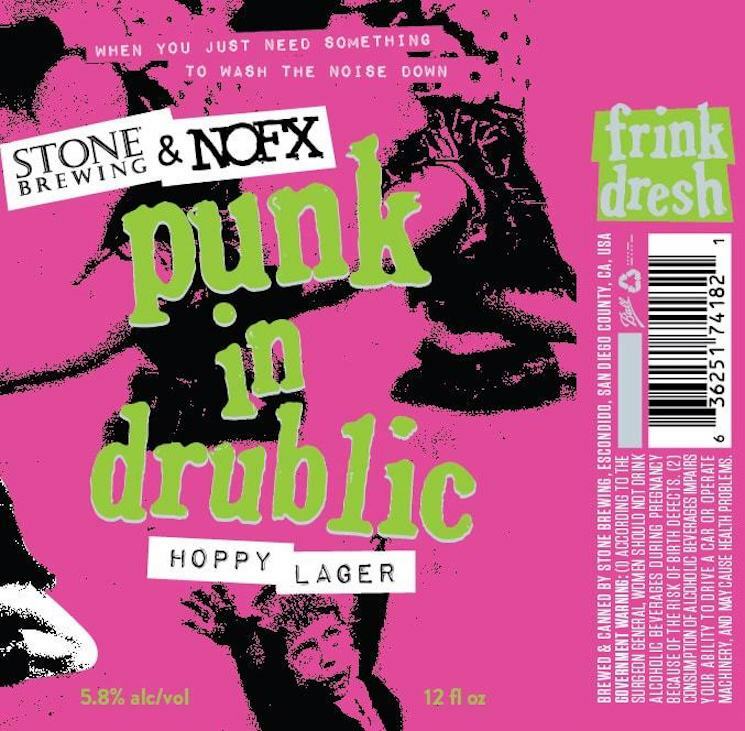 This year, NOFX have been touring in collaboration with Stone Brewing, which also teamed up with the band to make a special Punk in Drublic beer. Now, the company has announced that it is severing ties with the band. We at Stone Brewing are aware of NOFX's insensitive and indefensible statements this past weekend. As a result, we are severing all our ties with NOFX, including festival sponsorship and the production of our collaboration beer. We respect punk rock, and the DIY ethos for which it stands. To us, it means standing up for things you believe in, and fearlessly committing to what's right. And it is for that reason that Stone Brewing is immediately disassociating ourselves from the band NOFX. Stone had a sponsorship deal for this summer's Punk In Drublic festivals. Emphasis 'had.' That sponsorship is now canceled. Nevertheless, to try our best to make some good come out of these awful comments, we have decided that we will donate all profits of the beer to the Las Vegas Metropolitan Police Department Foundation, which provides post Route 91 trauma counseling for officers and other first responders alongside other safety programs, training and funding. We have cancelled any future rebrews of this beer. We apologize to the fans of the beer itself, but know that we make this decision out of respect to all. Punk rock is cool. These callous comments were the furthest thing from it. Speaking of the shooting, which left 59 dead and over 500 injured at a country music festival last year, Fat Mike said, "That sucked, but at least they were country fans and not punk rock fans."